The apparatus Model No: HO-ED-D-01 is meant for studying diffraction when laser light passes through a diffracting element. The device consists of diode laser and diffracting element that can be conveniently fixed on carriages, which are mounted on the anodized aluminum rail. One carriage holds laser head and the other carriage holds a diffracting element like single slit, double slit, etc. which can be replaced as per requirement. 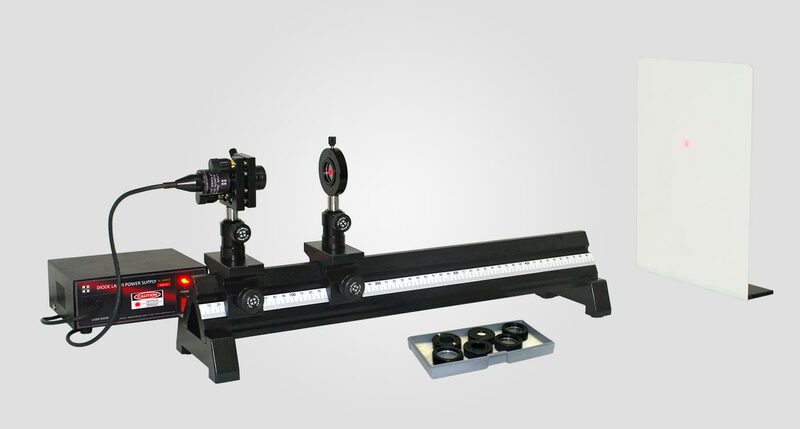 The laser mount is kinematic with two dimensional positioning freedoms. This helps to direct the laser beam to the required point on the diffracting element. All materials used for the construction of this apparatus are corrosion free. The diffraction pattern is projected on to a screen or wall for performing experiments. This elementary apparatus is simple, economical and is well suited for graduate level Physics courses. A diffraction element can be thought of as an optical component that has tiny grooves cut into it. The grooves are cut so small that their dimensions approach the wavelength of light. 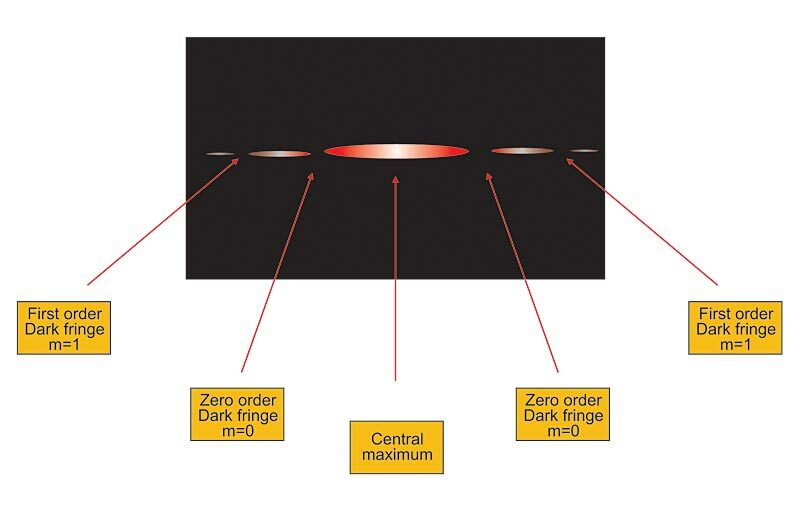 Where d is the slit width, m is the order, λ is the wavelength of laser used and θm is the angle subtended within the central maximum and mth order minimum.